In the last decades, cities have become the human habitat, our primary living environment and a fascinating one. People use things, and these things become waste. In cities, this flow is multiplied and there are huge amounts of waste and demand to be found. Resulting pollution, congestion and dependency on the hinterland are major problems for cities. At the same time, urban citizens almost never experience agriculture anymore, as cities have grown larger and larger. This makes that people are out of touch with their food. They do not trust its source anymore, and pay extra for peace of mind, as demonstrated by the rise of organic food. Urban farming also plays into this, and provides people with the ‘making of’ experience of their food. As such it has proven very popular and urban farms have been popping up on many places in the decade, ranging from AH-moestuintjes in window sills to communal gardens on empty plots of land to professional rooftop greenhouses. 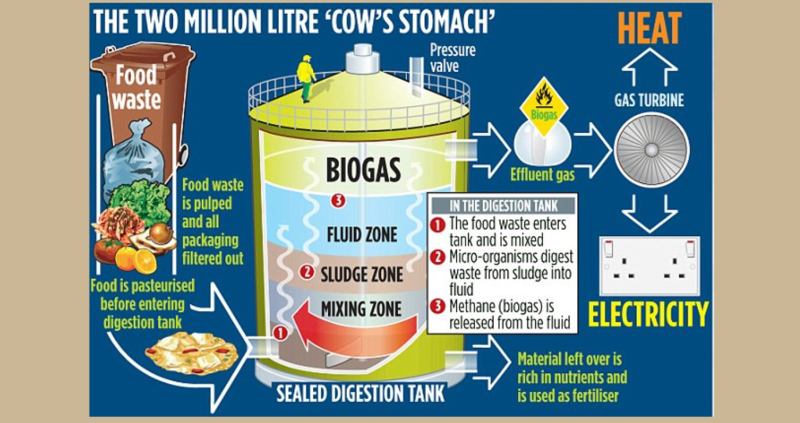 By connecting waste nutrients to urban farming cities can become more sustainable by proper management of organic waste and urban farming can become more sustainable by sourcing its needs in the incredible richness of nutrients that can be found in the city. Cutting back on a cities waste while getting people back in touch with their food. 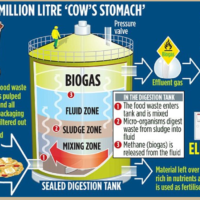 Anaerobic digesting works by feeding organic matter, dissolved in fluid, into a sealed tank, in which micro organisms digest the matter anaerobically and has been widely used in agriculture for decades as a way to produce energy from waste.